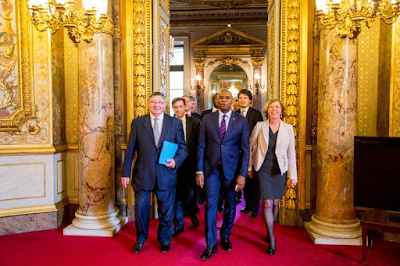 Serial entrepreneur, philanthropist and promoter of Africaptalism, Tony O. Elumelu on 27 May 2016, delivered an inspiring speech in Paris, France, selling Nigeria as an investment destination to the French business community. Elumelu, who is the Chairman of Pan-African banking group, United Bank for Africa (UBA) Plc and proprietary investment firm, Heirs Holdings delivered the speech as a guest speaker at the 1st ‘Colloque Nigeria', a colloquium on doing business and investment in Nigeria, which was organised by the French Senate at the exquisite Palais de Luxembourg in Paris, France. that like every part of the world, investors in Nigeria and Africa are faced with a myriad of challenges, but amidst these challenges no other destinations provided more opportunities and return on investment as do Nigeria and Africa. "Nigeria remains a very viable, attractive and important investment and export destination for French companies. As a matter of fact, I would argue that now is a good time to come and invest in Nigeria, because it is an investor’s market. The fundamentals of the Nigerian economy remain strong," he said. According to Elumelu, some of the trends supporting long - term growth in Nigeria are the increased use of technology by the Nigerian population, high consumerism, young demographic and increasing urbanization. Whilst encouraging French businesses to come and discover Nigeria, he advised the would - be investors to find the right partner that would help them navigate the environment and stated that they need be committed to invest in Nigeria for the long haul. 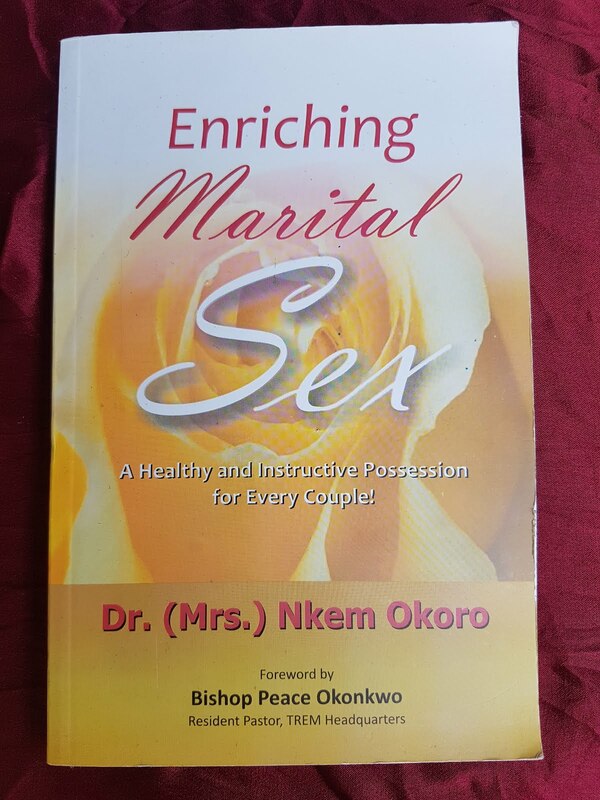 “Nigeria has always been a unique country. We are not only the most populous country on the continent of Africa, we are amongst the best educated and most-traveled people in Africa. We Nigerians are well known for our positive outlook and can-do spirit. Even more importantly, we have a strong culture and spirit of entrepreneurship. The smart investor, knows that this is the time to enter our market because the fundamentals of the Nigerian economy remain strong, and where others perceive risk and challenge, the glass is actually half full rather than half empty” Elumelu said. Citing the example of what UBA has been able to achieve in Nigeria, Elumelu said that UBA has operated profitably in Nigeria for the past 70 years and in the last decade, increased its footprint into 18 other countries in Africa as it set up business offices in Paris, New York and London. “UBA is helping to finance major projects in infrastructure, as well as in the agriculture and construction sectors of the African countries in which we operate, most of these being francophone countries. We have continued to open more UBA branches of our subsidiaries and we have become better established in those markets. The second stage of the roll out on the continent begins later this year”. “The large Nigerian economy plays an important leading role in West Africa and beyond. So when you invest in Nigeria, the benefits spill over to our neighbours in dozens of countries” he continued. He thanked the investing community for their enthusiasm about investing in Nigeria and he encouraged them to "believe in Nigeria; come to Nigeria; discover Nigeria; invest in Nigeria; help develop Nigeria and prosper with Nigerians; and most importantly, take an Africapitalist approach to entering and investing in Nigeria because what we are looking for are sustainable partnerships that will deliver sustainable development through the private sector going about its normal commercial activities," he concluded. Also speaking at the Colloque Nigeria summit, the President of the French Senate, Mr. Gerard Larcher stressed that the summit is strategic to French business interests as Nigeria remains the first destination of French investment in sub Saharan Africa. " We want to strengthen these privileged links, said the President. He thanked Mr Elumelu for his sterling contributions to the economic development of the continent, and especially in the area of entrepreneurship where the Tony Elumelu Foundation - through its Tony Elumelu Entrepreneurship Programme - has been engaging in promoting start-up businesses across the continent.